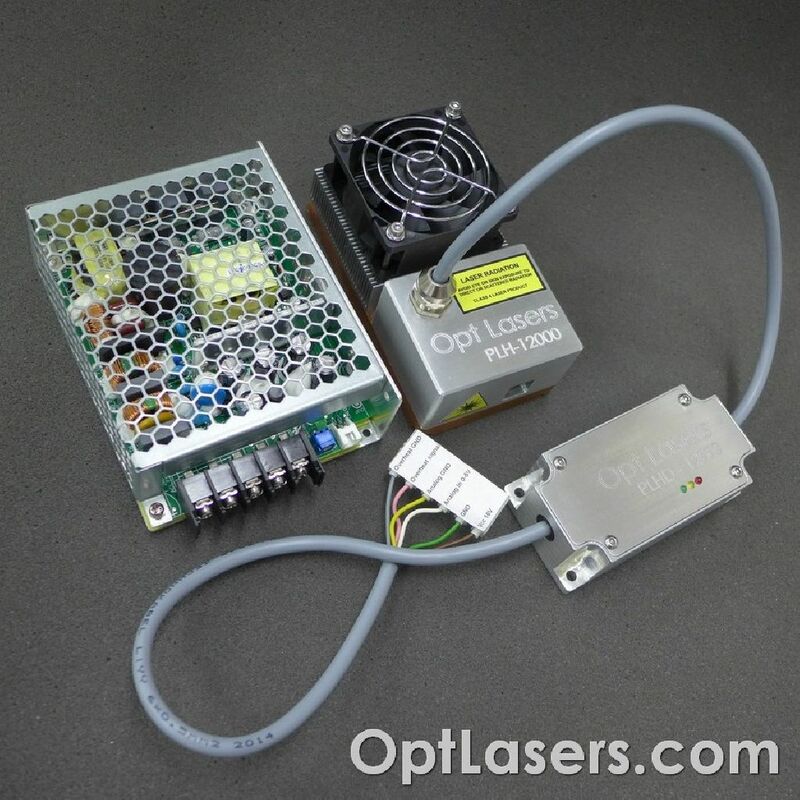 This is a PLH - 12000 high power (12 W) professional engraving laser head with a PLHD - 12000 driver, thermal protection and PSU. -4 Item Items Lead Time: 4 weeks Last items in stock! 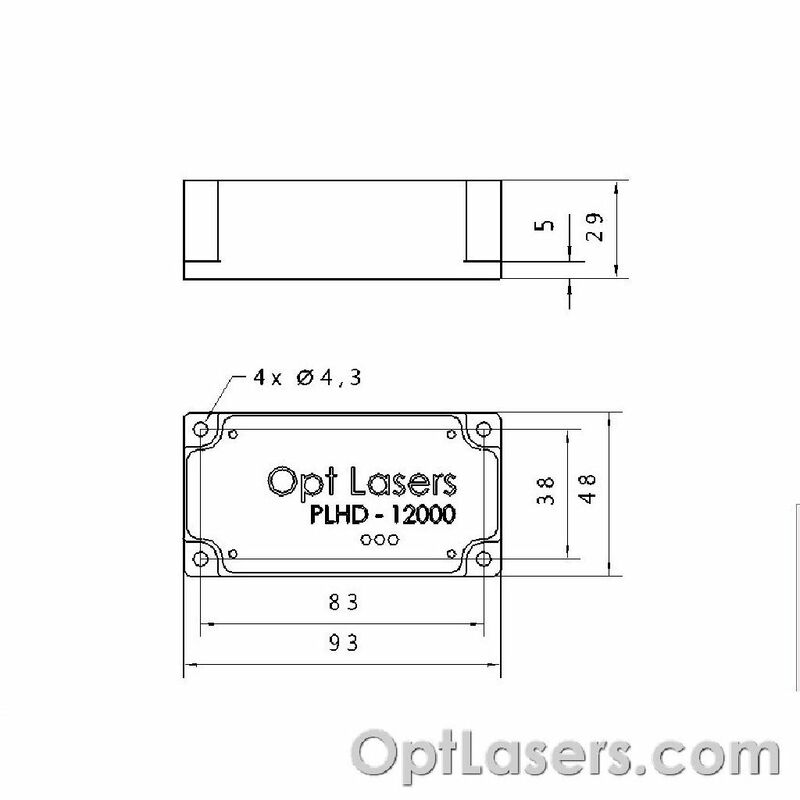 PLHD-12000 driver ensures proper work of the laser head and protects laser diode from overheating. 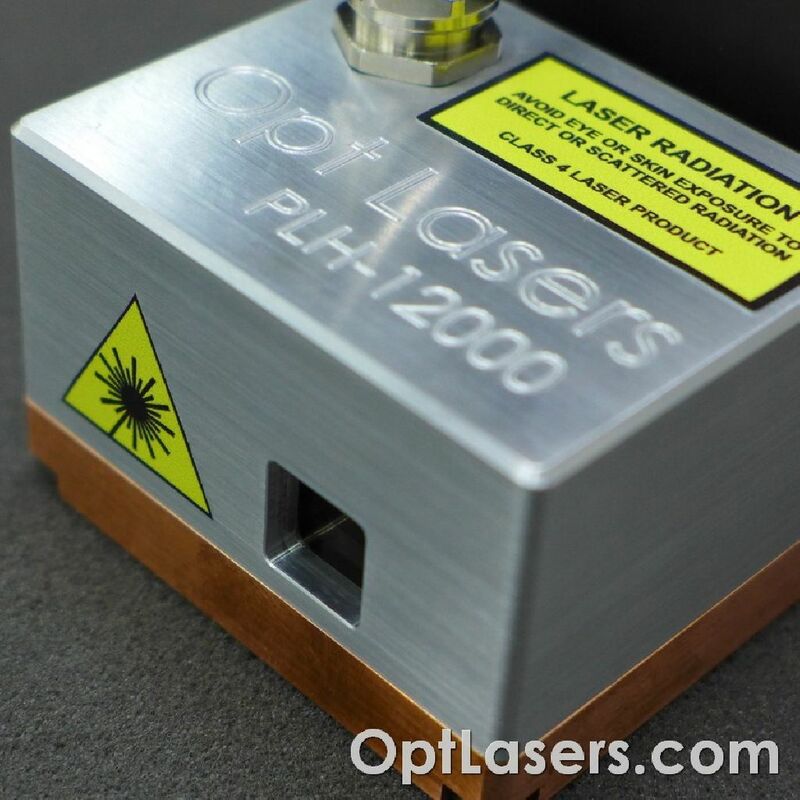 When the laser head reaches 40 degrees Celsius the orange-red is starting to glow. 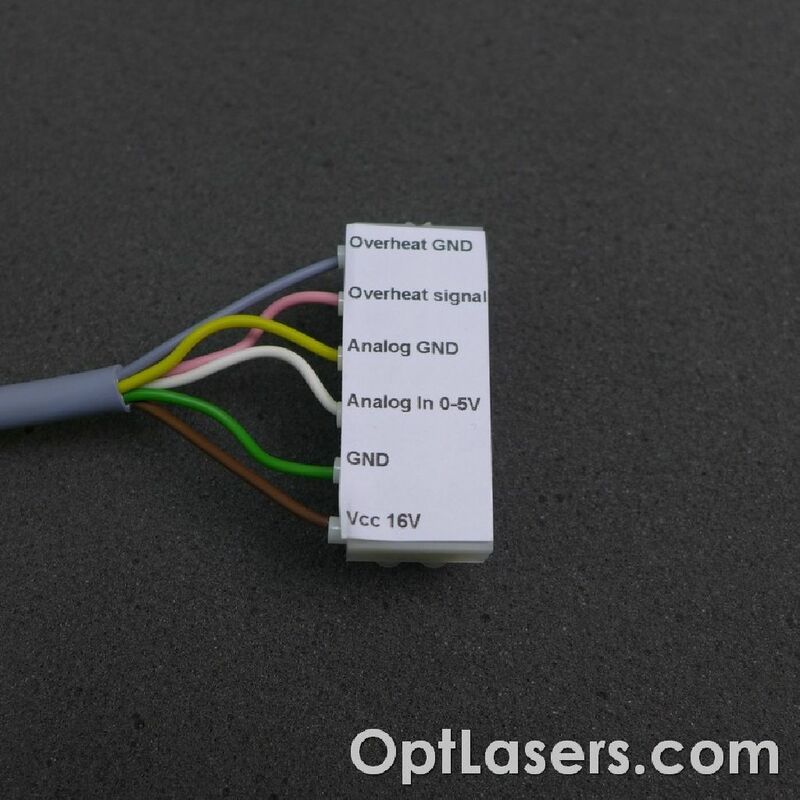 Reaching 45 degrees makes the red diode to glow and the driver is switching off the laser diode for as long as the temperature is not lower than 40 degrees. It also sends a low signal on the 5th ping on the output wires while in overheat mode. 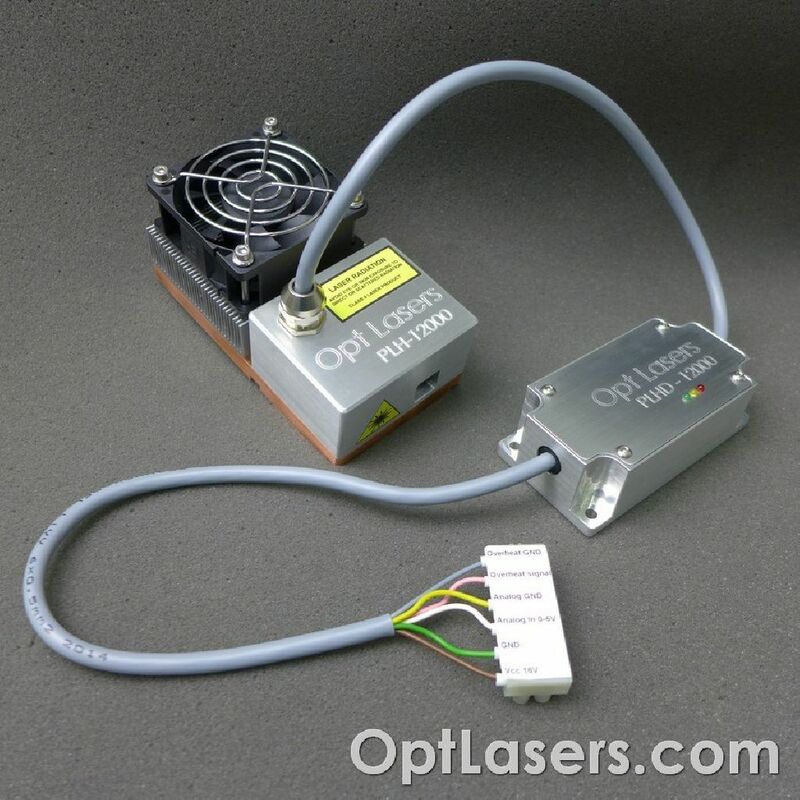 The laser head allows to cut or engrave materials such as wood, paper, leather, cardstock and many other. Thanks to full analog modulation it is possible to engrave in shades of grey or change the output power during turns. 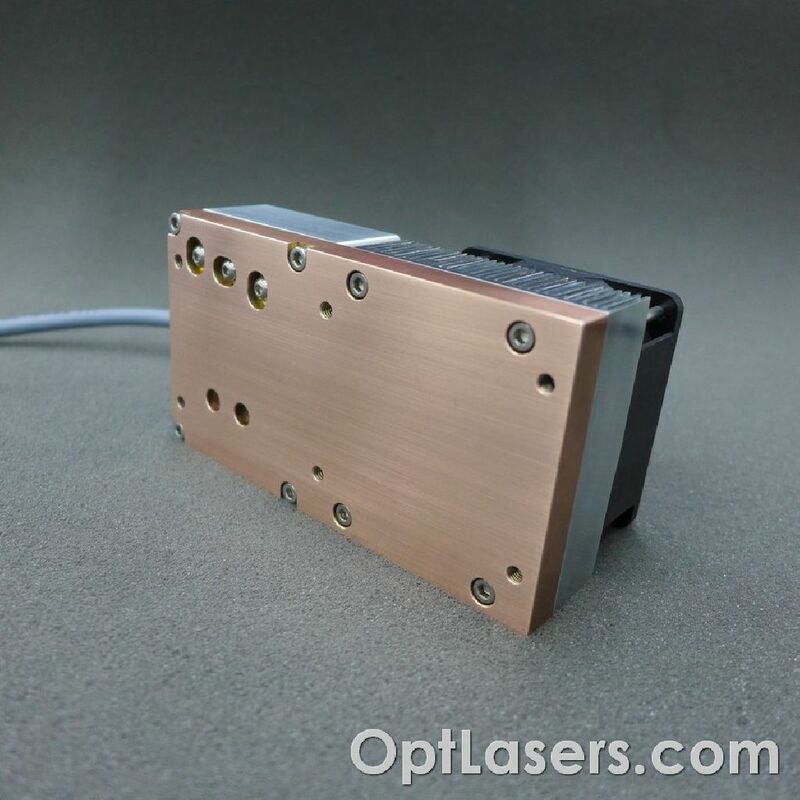 High-speed modulation (up to 70 kHz) allows the use of high movement speed during engraving even complicated patterns. The module is using brand new NUBM44 450 nm diodes (capable of 6 W). On this listing PSU 15 V, 5 A is included. 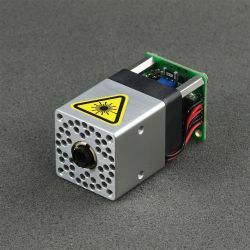 Depending on the availability of the PSU from our suppliers, PSU included the engraving laser head can look a bit different. Anyway, all connector pins are always matching PSU send to a customer. If you would like to know any details of the PSU please write to us. Modulation inputs can be used as TTL inputs with its logic levels of 0 V and 5 V or as an analog input. Analog modulation means that by using 2.5 V on ANG input you get 50% output power, analogically by using 4 V you get 80% output power, etc. 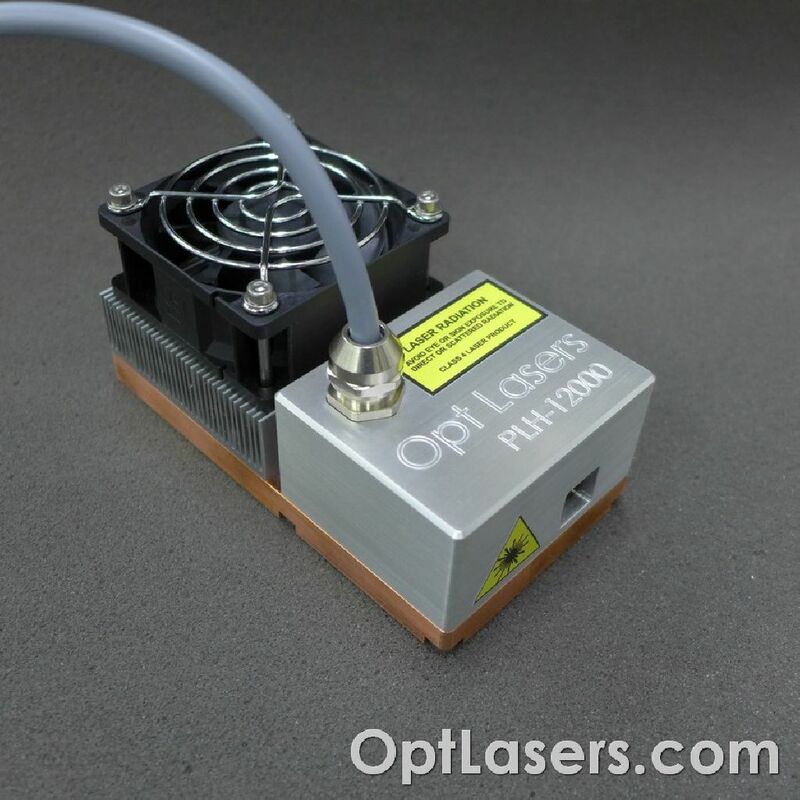 PLH-12000 must be cooled well because of the heat dissipated on laser diodes. Additional CPU heatsink with the fan or attaching PLH-12000 to flat metal surface (part of the machine) should be enough. 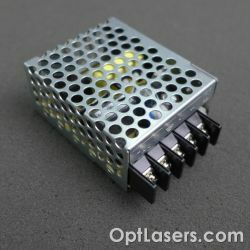 In the situation when the temperature is too high yellow led will light on showing that the module does not have enough cooling. Remember that adding a fan on the heatsink is making its efficiency much better. Do not touch the beam, it may cause burns. Do not stare at the beam or the beam spot while the material is being cut. 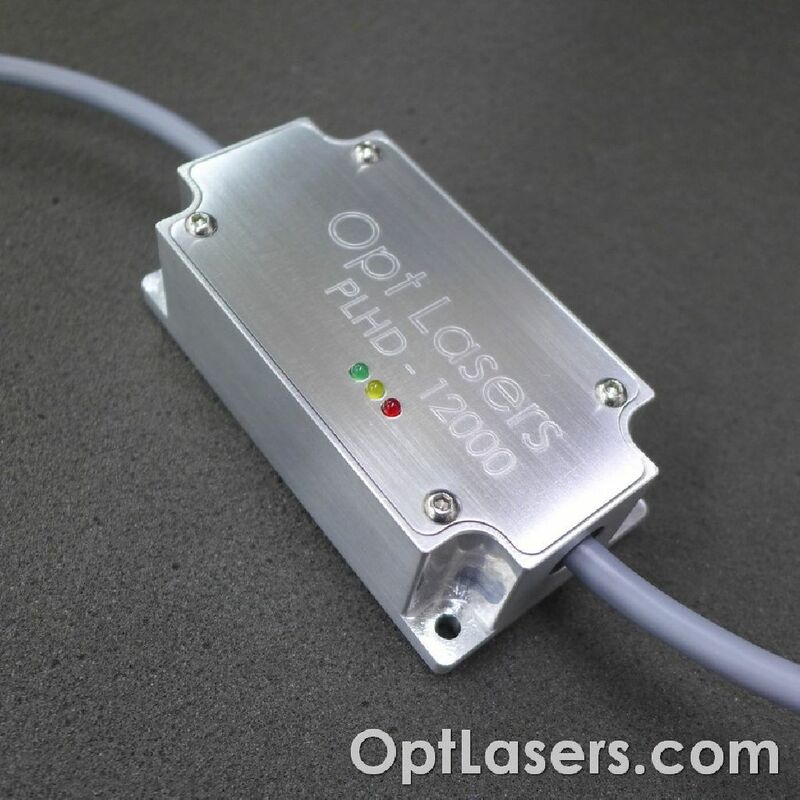 Laser radiation - Avoid eye or skin exposure to direct or scattered radiation. 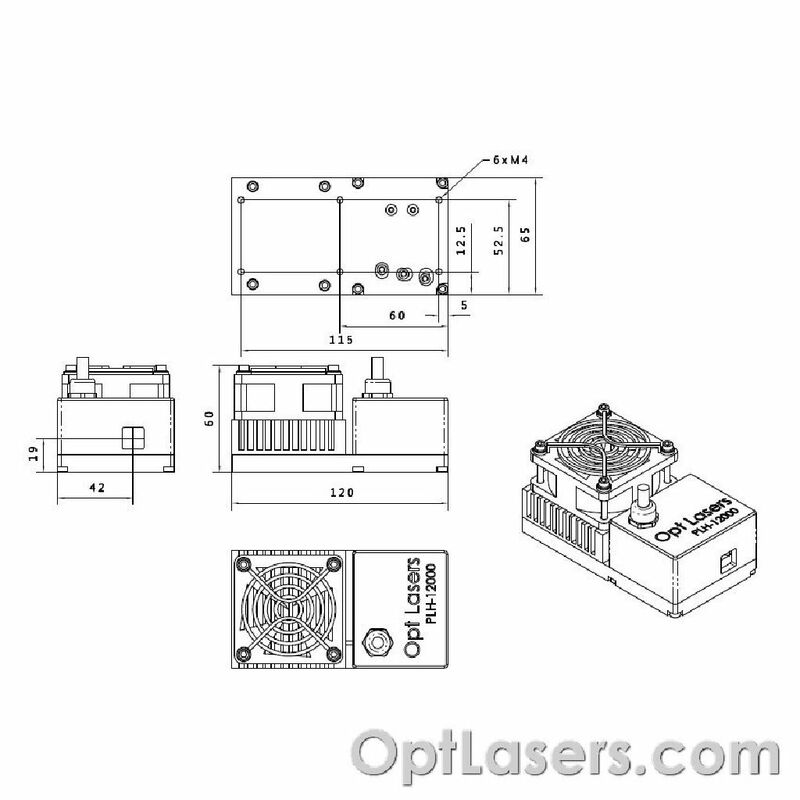 This module has a thermal protection system which protects laser diode from overheating. The analog input is protected by a 5V1 Zener diode on occasion there appears the voltage higher than 5 V. Despite everything, this input should not be used with higher voltages. The output of the driver is protected by Schottky diode which doesn't allow the reverse voltage to appear.